The largest colour choice you will ever see! Ethical T-Shirt Printing at it’s BEST. Delivering your ethically produced printed T-Shirts and Hoodies all over the UK. Ethical T-Shirt Printers are the smart choice’. Our ability to produce thousands of garments per day and with our specialist artwork and screen making department all in-house, you can be assured of a quality screen printed garment even with the most detailed of designs. Please check out our gallery for just some of our happy customers that we are able to show. A lot we can’t show as we appreciate customers who like to keep things private. A family business that gives you the very best service on a national scale! SEE HOW OUR PERSONAL ORDER PROCESS WORKS. With most printers pushing the customer towards Vinyl or DTG printing for less than 50 garments. 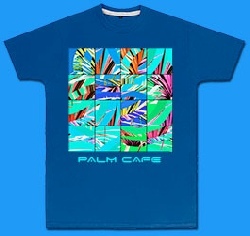 Traditional screen printing has become a rarely offered method for garment decoration for customers requiring a small quantity. Why should start up’s not be able to take advantage of the best printing method, SCREEN PRINTING. With over 30 years of T-Shirt screen printing experience we know that good clear artwork is the key to the very best quality garment print. If you don’t have the perfect digital format that other printers ask for, don’t worry. Just send us the best quality image you have, we’ll then use all our expertise to make sure everything is tidied up or even re-drawn to the highest quality. Most of the time we can sort everything out for you at no extra cost. One of our most popular T-Shirts. 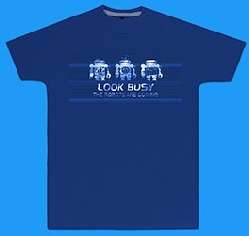 Great T-Shirts for clubs, schools and organisation’s. Good all year around availability. Soft ring-spun cotton with a sleek Euro fit. Loads of colours to choose from. Just to say thank-you for the tee-shirts and sweatshirts, they look and are great. They are already flying off the shelves! Some of our choir our doing a walk to raise money for the organ and they are going from Morecombe to Scarborough. Today they are getting some walking training in and they are wearing the shirts. Thank-you again for your help and advice. We are so pleased with our t-shirts, which arrived (as promised!) first thing this morning and look really fantastic! They're exactly what we hoped for - excellent quality and ethical cotton! Paul was so patient and helpful. Very much looking forward to working with you at e-tees again soon! Thanks from us all at the Campaign for Drawing! Just to let you know that the box has arrived safely and the bags are fab! We’d just like to say were very happy with the shirts, good work! When we sell this batch we should be looking for some more and the girls T’s we discussed. We have some simpler designs in mind too. 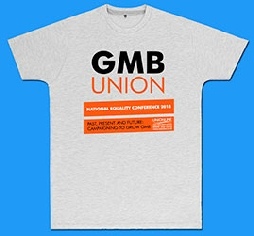 I’d just like to let you know we received our t-shirts this morning ‘GREAT SERVICE’. We are so impressed with the quality of all the designs you have printed for us. We have struggled to find a printer in the past who was willing to take on our complex designs and the amount of colours required to print them. Now we have found you! we look forward to doing many more new designs and I’m sure there will be many re-prints of these designs also as they look so great. I’ll talk to you soon Paul. Just wanted to say thank you for the Tee Shirts and Hoodies. Mr Mortimore seems really pleased how they've turned out, and will be working on interest in training suits. Once again thank you for such a professional transaction. You've been very helpful and supportive. I really appreciate your efforts within this tight schedule. The print for homeland and bigup looks great. Can I just say that the t-shirts I ordered can out fantastic, thank you very much. I’m now looking at getting some hoodies ordered. I’ve just got back from seeing my customers t-shirts and they said they are fantastic. Hello Paul,The t shirts have just arrived and we’re absolutely delighted with them! I’m so grateful for your friendly, helpful and efficient service. We’ll definitely be buying more from you. I already have some ideas in mind. Just to let you know that I have received my T-shirts, and I must say, I am very happy with the quality and delivery turn-around. Now I certainly know which printers I will be using from now on. I just wanted to say thank you for your help with my T-shirt/polo shirt order, much appreciated. They’ve been widely acclaimed since opening them. I would like to thank you for your 5* customer service and would have no hesitation in recommending you to others. "Would like to say that the customer service from ETEES is superb and the printing quality is exceptional! Received in quick time, and will be recommending you! Thanks again!" We received the order yesterday. Everything looks great! Thank you so much for your outstanding service. We’ll be in touch again next time we’re ordering garments. You are a miracle worker. They have arrived and they are perfect! Thank you so much – what amazing customer service. The best I have ever had in my 18 years of working. Thank you again – I will be recommending you to everyone. The fact that you are an ethical company too makes the service and order better than perfect too. If you need a testimonial or anything, please let me know. What Tee Shirts are customers ordering day after day? We are a custom T Shirt Screen Printing Studio, specializing in eco friendly hand printed t shirts. We use a combination of water-based and plastisol ink to create a premium hand made feel for eco conscious brands, street wear, clothing companies, businesses, and more. We cant wait to work with you on your next screen print project! To one UK destination, exc NI and Scottish Highlands. Artwork quality isn’t an issue with ETEES. But please send the best quality you have. We can supply you with as few as 10 printed garments. Perfect for a small business or sports club. Of coarse if you're a larger business or club we can give you some great quantity discounts. Quality colour separations mean a quality print. Our in-house specialist control’s everything from start to finish to complete your screen print job. 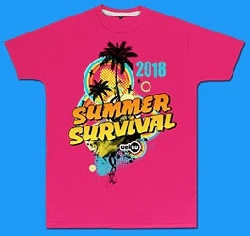 T-shirts for Council sponsored events. Charities, organisations and small fundraiser's. All are welcome at Ethical Tees. From as few as 10 garments to thousands, we can cater for all customers. Hand dyed with ECO sprayed inks. Create that garment that stands out in a crowd. Great for over printing with your design or logo.